Earlier this month Telltale finally offered up some details about their upcoming series based on Marvel’s Guardians of the Galaxy that they unveiled at the Game Awards late last year. Sadly no window was given as to when we could start to expect to play the series and thankfully that’s now changed. 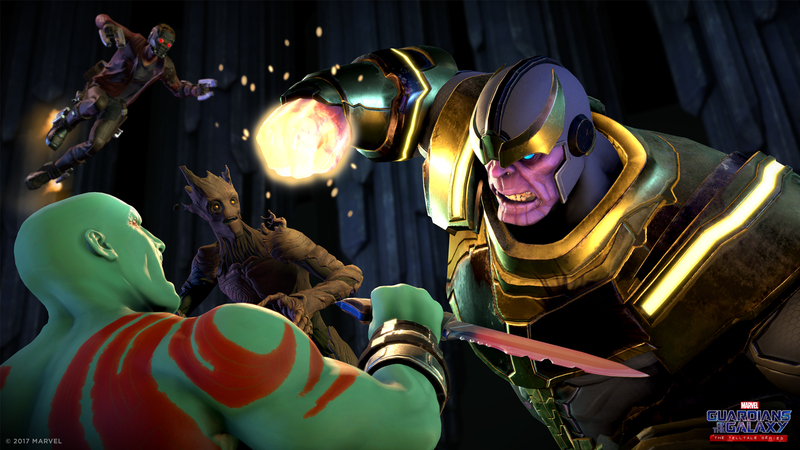 The first episode of Guardians of the Galaxy: The Telltale Series, titled “Tangled up in Blue”, will arrive on April 18th for the PS4, Xbox One, PC and both iOS and Android mobile platforms. Though it was rumored from a retail listing that a version of the game for the Nintendo Switch was imminent, Nintendo’s new hybrid console was absent from the reveal announcement but a version could of course arrive at a later date. 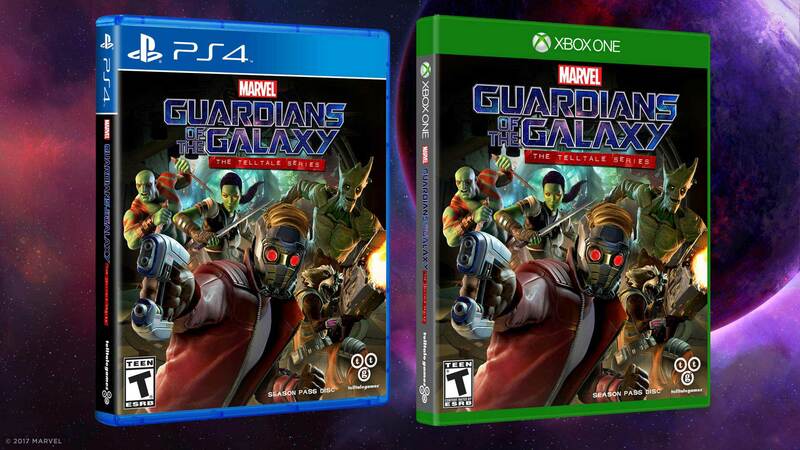 Like the last few Telltale games, a Season Pass retail disc is also coming for the PS4 and Xbox One which will arrive on May 2nd, three days before the North American release of Guardians of the Galaxy Vol. 2. As part of the announcement, a new character was revealed to be showing up in the series and it’s one we’ve seen on the big screen in the original Guardians of the Galaxy: the Mad Titan himself, Thanos.